Mediation4 enables you to manage workplace conflict successfully at every stage, whether you ‘do it yourself’ or engage our expert mediation support. 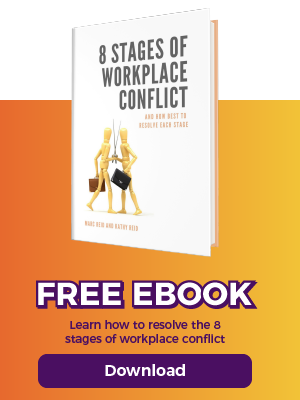 Learn a mediation-style approach to resolve low level conflict yourself. Learn about mediation with our free bite-sized video series. 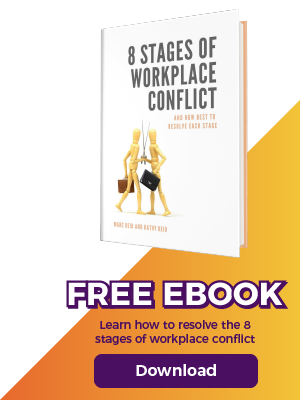 Clear focus on meeting the specific needs of HR professionals in managing and resolving workplace conflict. We provide the necessary products, services and support. Extensive experience using mediation to help resolve disputes in a wide variety of situations. We have trained hundreds of people in the DIY Mediation approach. Our service is based upon understanding and meeting your specific requirements. We provide a professional service tailored to meet your conflict management needs. We believe in positive working relationships with our clients based on integrity and professionalism. We go the extra mile to help our customers and actively support charitable community activities.